If your hair is breaking or feels super dry, you can show it some love by giving it a hot oil treatment. Why and how they work? Heat opens the cuticle of the hair and allows moisture to penetrate the hair shaft. So if you have low porosity hair (take the test), opening the cuticles is very important. Jojoba: I love this oil — not only for hot oil treatments but for sealing in moisture. The sebum that our scalp makes closely matches the makeup of jojoba oil. This is a great oil if you have dandruff or itchy scalp. Olive: This is probably the most popular oil used because most people have some of this around the house. Olive oil is good for protecting your ends from splitting/breaking. 8. Shampoo (see product recommendations) and condition your hair as normal. Just remember, sealants are not moisturizers. They lock in existing moisture. So if you put oil on your hair by itself, it will just sit there. It doesn’t penetrate. Your hair may have a dull shine and even look greasy, but that’s not the same as being moisturized. 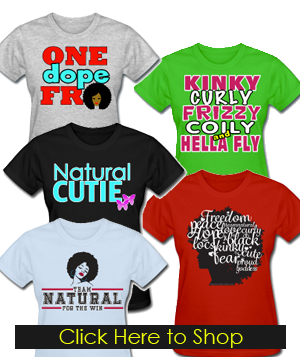 Check out my unique and fly natural hair shirts. Look at all the wonderful uses for natural oil! Who knew? 😉 And what’s great is you can apply these tips and techniques on both transitioning and natural hair in the same way. I mix raw coconut oil and castor oil together and warm it up and I apply it 2 times daily and my hair grows I actually never thought it would grow but it did. Daily? Really? Or did you mean weekly? Thanks so much for the useful information. I would like to ask how I should warm my castor oil. I’d appreciate your response thanks. I use a mix of Olive Oil & Castor Oil. I warm the oil. I start first applying a little on my ends. Then I apply on my scalp. I start with the roots. Then I take some in my hand and distribute to rest of hair. I leave on for 15 minuets. While shampooing I use a scalp Massager to circulate blood flow so the hair can grow. I then I use a soft brush to comb out hair. I take a dime size of Hask Argan Oil Apply to scalp. Then dime size of oil to rest of hair. I Put A Kertion Treatment In The Hair an It Broke Off My Hair Badly I Put Twist In My Hair Right After For A Month Now I’m Doing The Hot Oil Treatment I Haven’t Got It Cut But Do U Think I Should Next? I found this article extremely helpful. Lots of great information that I’ll be sure to incorporate into my hair regimen. I also checked your FB page Afro Active. I’ve been trying to find the right combination of products for my 4C hair for the last 6 months. I’ve been a weave braid girl for over 15 years. Time to allow my natural hair to be healthy and flourish. Thank you so much for this helpful information. Helpful tips. Am gonna try the DIY hot oil treatment. I have a Facebook group that I think would be really helpful to you. It is called Afro Active. Afro- Active is a group where Women come together and learn about NATURAL Hair. 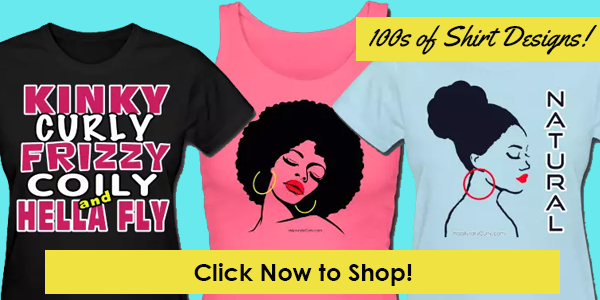 If you are looking to learn more about natural hair its definitely the right place for you. This Group is full of different women with diverse journeys. 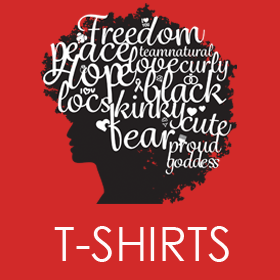 Some who may have been Natural their whole lives, others are new in their Natural hair journeys, some could be currently transitioning and others are still considering if Natural hair is even the right direction for them. 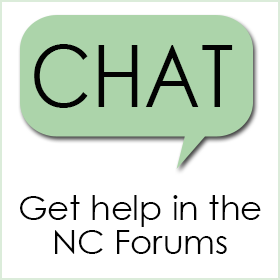 Join us and post any questions you have to the group and the ladies will be more than happy to help. Hi! I am going to start adding hot oil treatments into my hair regimen, but from what I can see you add the hot oil, then shampoo and condition as usual. Is this then just the same as a pre-poo? Or would I pre-poo with an oil, then rinse, then add the hot oil, rinse again and then shampoo and condition? I do my hot oil treatment the night before wash day and let it set over night. It doubles as a pre poo. to start Thank you for this article! I’m in the process of transitioning and I’m trying to get a hair regimen down pack. 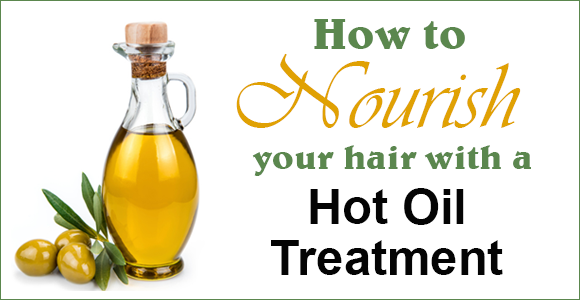 How often should one typically do a hot oil treatment? I like to use hot to make sure I get all the oil out. You can do a final rinse in cold after that if you want to seal your cuticle. I read your article and thank you for the walkthrough. But I am confused. Everyone always says oils are sealants not moisturizers…. yet we are doing a hot oil treatment with the same oils? Should I put conditioner in first then hot oil to seal then? I think the steam from all the heat brings about the moisture. Not sure tho. You should use not hot oil for the sealant to keep the cuticle closed. Because it seals it in. I am protein sensitive. Could you recommend a good oil to use to seal? I can not use Shea Butter or Coconut Oil. Is Flax Seed a protein? I pre poo with Olive Oil which works well, but since it is penetrated, it does not make a good sealer. Also, could you recommend a protein free shampoo and conditioner? Thank you so much for this article! I have been wanting to do a hot oil treatment for some time bit no one has been able to break it down and make it plain as well as you so thank you very much!. I have a quick question about adding extra moisture. You said to dip a towel in warm water and put it on the hair. My question is, do I put the towel on top of the cap or directly on the hair? Yay! That’s great Brandye! Put it on top of the cap. Thank you very much for sharing this article, it’s informative and very helpful. I’ve been using coconut oil and it works magic on my hair. I would also like to try other oil like jojoba and argan oil. Can I combine oils? Thanks again. You sure can. I do it all the time. My favorite combo is olive and jojoba. Jojoba is good for dry scalp and dandruff and olive oil helps hair from getting so dry. I see to maintain moisture longer when I use this combo. 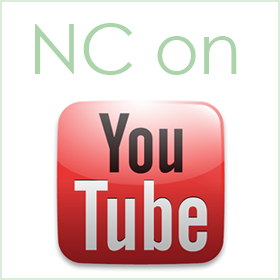 Bulk Apothecary is a great site for natural oils and so much more—great prices too. They’ll sell you a fraction of an ounce up to 50+ gallon drums of it. Where can i purchase jojoba oil and almond oil? At Amazon.com or any health store. I am happy I found this site so much good information.I have some hair breakage so i’m definitely going to try out the treatment. I have just recently started t experience severe dry scalp. My mom thinks it might be something going on in my body but I think it might be my relaxer leaving a residue. I was wondering what hot oil treatment I should use to start getting it to go away. Jojoba oil is great for flaky scalp because it’s the oil closest to the natural sebum your scalp makes. I would also massage it into your scalp prior to shampooing to lift up dead skin…. 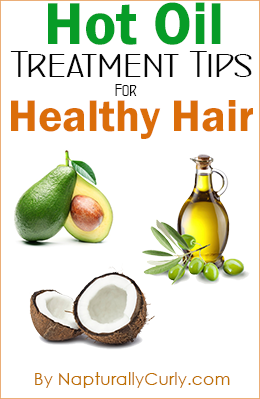 even if you aren’t doing a hot oil treatment with it. Massaging warm oil into your scalp before shampooing really helped my flakes. Not sure if this has been pointed out (haven’t read all the past comments) or not, but under coconut oil it says to just warm it up in the microwave if it’s in it’s hardened state. Then later on the article goes on to say do not heat oils in the microwave. A little contradiction that may confuse others. Thanks for the other tips, too! Definitely going to start blending up some oils for treatments. Ahhh never caught that! I added the warning later and forgot I originally recommend that before I learned NOT to do it. Fixing now. Thanks! woow I know I just recently damage my hair by bleaching so I read this microwave and applyed put plastic caps on and towel to read don’t microwave let bottle sit in warm water to keep nutrients. smh I hope it helps me I have been experienceing dryness and shedding!!! Thanks so much for your posts. They are really helpful. Just started transitioning to my natural hair and continue to educate myself on the best process and products. Do I pre-poo and then hot oil treat or do it at the same time? Canola is the only thing in my pantry…guess that will have to do! Oh OK good luck. Probably won’t hurt but since it’s not an organic oil and is more man-made with non-natural products, it probably won’t nourish the hair as much. I co washed my hair with conditioner and blowed dried it and then flat ironed it with coconut oil , what did i do wrong, my hair is not curled at all and it is sooo dang thick and dry,, this transitioning is very expensive and i am lost as to what to buyHELLLLP!!! Do you have to wash your hair after doing the hot oil treatment or is it optional? Will this make my hair grow faster? i’m trying to grow out my pixie cut. 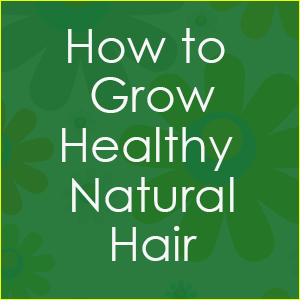 Drinking water, eating veggies, rubbing your scalp with castor oil nightly can help with growth. One hot oil treatment weekly won’t do much. About how often should you do a hot treatment? Can all of these oils be mixed together or some of them.? Hello, can you do a hot oil treatment on deep conditionning on the same day? is your hair saposted to feel a little oily or gummy after you towel dry it after the shower? I shampooed 3x and then conditioned 1x and towel dried my hair and it still feels kinda gummyish while wet. You probably over moisturized your hair. Try doing a protein treatment, I always use Xtreme Protein sleek treaent from a brand name Giovanny at wholefoods, bc my hair is pretty balanced, I only leave it 3 min but you can leave it on longer. Or buy a deep mask like Shea Mosture Omega 3,6,9 with the grey label, and do a deep treatment. I hope it helps. I have a question about my severely dry and itchy scalp now I have tried every dry scalp shampoo there is and nothing has worked it’s so bad at times it feels as thou I hv bugs crawling on my scalp & hv seemed professional help thinking I did hv bugs in my hair and I would dry myself crazy scratching away it actually made me start to itch my skin and again think I had bugs there again I know I know this sounds so insane as if u probably think I’m a lil fruity lol well, now the dryness has moved down into my fore head and my skin had begun to peel I just got to thinking last night and I was cleaning up and I thought scree it can’t hurt to do a hot oil treatment bc I hv 2 already made up tubes of the oil treatment from Sally’s I bought a few months back and forgot about I also hv morrocan oil also I use daily bc I don’t use any other product on my hair at all will it be advisable to use the heated Moroccan oil or the already pre-made oil tubes of treatment ??? For the best results on my horribly dry scalp??? At this point, you should not look for remedies online. You should seek help from a physician. This sounds like it could be psoriasis or some other skin condition not necessarily originating with the hair. every time I perm my hair after shampooing an cond. a few times it start to mend together hard to comb out knots an I have to cut it all off going back to natural hair. Hi Jessica. Yes, sometimes I do. Thank you very much for all the hard work you put into creating this informative and formidably- robust site. I have now ONE PLACE to go to with all of my “Natural Hair” question. I cut off my processed hair a year ago and without any complications (thank you Lord) I now have a beautiful full head of natural healthy gorgeous hair!! This is a terrific site!! Castor oil is a pretty heavy oil. I find it weighs down my hair, too. Also, with the other oils, I have to put the oil in my hair and leave it in one position or else it’ll feel too heavy. So wrapping my hair in a towel really helps. Hi I’m 6 months in transition what can I do keep the process going smooth? How often dovi need to trim my hair? Hi Ms. Lisa! Thanks for such wonderful, informative, comprehensive, and well organized information on this splendid and superb site! After having transitioned years ago (big chop), I still seem to have stunted hair growth!!! Do you still suggest hot oil treatments long after the transition? (I have never done a hot oil treatment) How often would you suggest? And, now that you have longer and all natural tresses, how often do you now wash and condition your hair? Thanks again for ALL the wonderful information you have taken the time to share! when doing a pre poo/hot oil treatment b4 washing your hair, is it best to apply oil to damp or dry hair? This is going to do wonders to my hair!!!! !… I know this is bad , but I use a straightener on my hair every single day because I have REALLY BAD NATURAL CURLS that’s what I do and this is going to help so much with all the breakage on my hair!!! THANK YOU SO MUCH!!! Have you tried Care Free curl activator? Out of all of the products I dabbled with, Care free did a great job at defining and moisturizing my curls. It also eliminated the dry puff I would end up with at the end of the day. It works great and it’s not heavy at all. An oil that I found works even better than regular castor oil is Jamaican black castor oil! I use the extra dark one… It just goes on so smoothly and provides instant shine. Not to mention I had a little patch of breakage that I was struggling with, but the Jamaican black castor oil had it growing back in what seemed like only 2 weeks of consistent application to my scalp!